Whether you’re treating persistent medical issues over time or have to shell out for a major surgical procedure, health care costs have the potential to put a significant dent in your savings. When it comes to your health, though, you need to put yourself first. So, how can you cut the cost of heath care? Everyone’s personal situation is different, but there are general ways to save, no matter if you’re insured or uninsured. Preventative care is the best way to keep yourself healthy, and limit future medical expenses. If you’re insured, look at your benefits and find out which routine exams and tests are covered. One small copay per year could save you much more in the long run. If you don’t have insurance, maintaining a healthy lifestyle is paramount, but you can also find free or low-cost services, like flu shots and blood pressure checks, at your local drugstore. Many areas have local clinics that are free, or offer health care at reduced prices based on your financial status. Research and choose a location before you need medical care, as some may require eligibility screening before you can utilize the clinic’s services. If you have insurance, make your general practitioner your ally. See if he or she is open to receiving emails when you’re having symptoms. If so, a simple note may save you a copay and an unnecessary office visit. Also, ask your doctor for generic prescriptions when possible, and call your insurance to make sure they cover your prescribed medications. 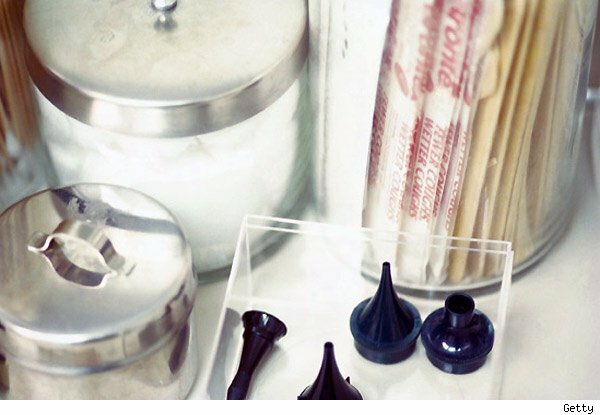 Don’t be shy about asking your doctor if he or she has any samples lying around, either. An office may have enough on hand to cover short-term needs, saving you another out-of-pocket expense. Outside of heading to a free or urgent care clinic, you may be able to get medical care at your local Target. Select stores have walk-in clinics that can treat minor illnesses or injuries, and even offer a variety of vaccinations. If you’re uninsured, the services are reasonably priced, ranging from $25-$170, but the clinics also take insurance. The fees do not include the cost of prescriptions, though. For the uninsured, do some research on area hospitals and find out how much they charge for certain procedures. According to Bankrate.com, the Health Care Price Transparency Act of 2006 requires hospitals to report the public information on specific inpatient and outpatient charges. Search for state hospital sites and compare prices before the need arises. You could save yourself hundreds, if not thousands, just by choosing the right facility when needed. Insured or not, consult with the hospital’s billing department and be upfront about your financial situation. Being honest will help the hospital find the best payment options for you. really good info. I’ll have to see if my doc would do emails. that would save time and money!